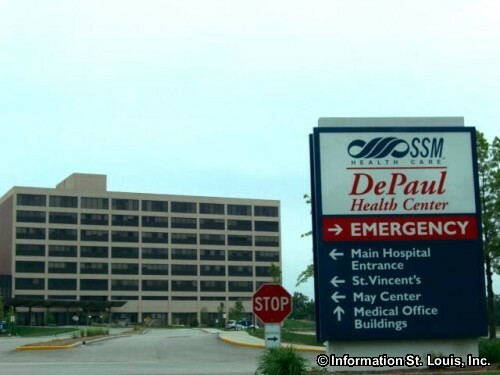 SSM DePaul Health Center is located in northwest St. Louis County. It is a full-service Catholic hospital and was founded in 1828 as Mullanphy Hospital and was the first Catholic hospital in the United States. 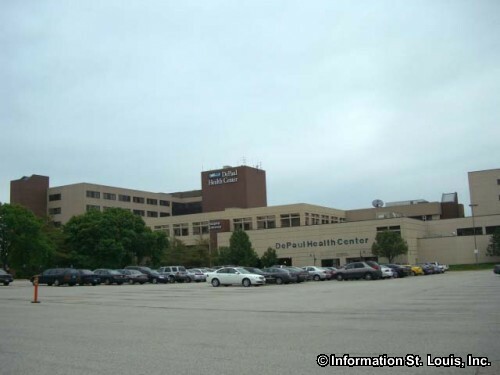 The 450-bed facility specializes in emergency services and treats such ailments as chest pain, acute illness, and trauma in its Level II trauma center and it also has mental-health services, substance-abuse programs, and a Senior Specialty Center for older patients with special needs. 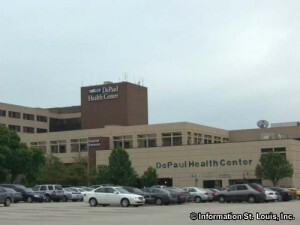 DePaul's Heart Institute features the latest in prevention, diagnosis and treatment of heart problems and the hospital's state-of-the-art facilities enable its surgeons to perform procedures such as laparoscopic gallbladder surgery; laser and microsurgery of the eye, ear, nose, and throat, and maxillofacial surgery.